In several of my past posts, I mention how “futuristic” pointe shoe names are becoming. Although construction methods and materials have changed with some manufacturers, they more or less name their shoes girly or ballet-related names. That is why models that have ultra-modern names stand out from the crowd. The latest model on the market is the Concept 9 by Me.Me Dance, a newly-formed British company with long-established experience in the craft of making beautiful, professional pointe shoes that actually fit and function the way they are supposed to. Me.me Dance is in the business of providing answers for the dancer who has grown frustrated trying to find the right shoe for her foot type. According to the Me.Me Company official website, the business is U.K. based and operated by several former Gamba pointe shoe makers. If you are a dancer who loved the craftsmanship and beauty of the Gamba shoe, the Concept 9 originates from the very same talented craftsmen. Halleluiah! The loss of Gamba in the U.K. may no longer be such a huge cause of frustration for Gamba-loving ballet dancers. With Gamba professionals at the helm of creating the Concept 9 shoes, it looks like a win-win situation for everyone. What I find pleasing about the Me.Me Dance website is the F.A.Q. page. Many pointe shoe companies behave as if they are allergic to customer inquiries. Me.Me Dance attempts to provide as much information as possible to the visitor who may have questions. Me.me dance offers two models, a demi-pointe and a regular full pointe shoe. 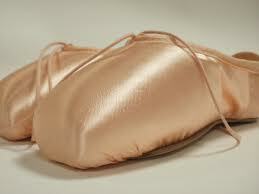 I love the aesthestics of the demi-pointe which is shown here. Both versions offer a slightly different vamp cut from each other. The full pointe model comes with several shank strengths and has a nicely balanced toe box and platform. The shoes are amazingly pretty and the choice of satin color superb. A New British Pointe Shoe Brand-How Exciting! 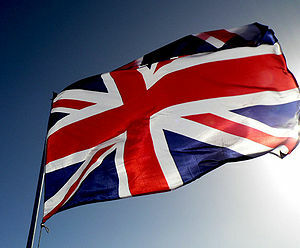 Me.me Dance is a proudly British company and encourages dancers to buy British products. I love the pride they display for their beautiful country of England and wish for them much success and continued growth in the world of dance. This also goes to show that companies (like Repetto who acquired Gamba) can buy the brand name, but they cannot buy the experienced pointe shoe maker. Those makers will go where they please and create pointe shoes where they want to. The shoes come from the hands of the cobbler, not the brand name. To find out more information about ordering the Concept 9 by Me.Me Dance, visit their official website, Me-medance.co.uk. This entry was posted in British Brands, New Models 2012 and tagged bespoke ballet pointe shoes UK, British pointe shoes, Concept 9 pointe shoes, custom made pointe shoes online, made in Britain dance shoes, Me.Me Dance Concept 9 pointe shoes, pointe shoes made in England. Bookmark the permalink. Thank you so much for information about Gamba cobblers in the U.K. I will definitely check out the Me.me website.